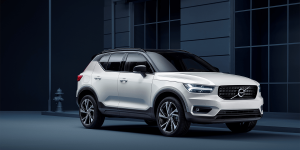 Volvo will introduce the first all-electric version of its XC40 brand compact SUV later this year, which will be the Volvo Car Group’s second BEV after the recently launched Polestar 2. Both electric models are to be launched in 2020. In addition to the all-electric drive, two PHEV options of the compact SUV will also be offered. The XC40 is the second best-selling Volvo model after the XC60. By 2025, Volvo aims to make up half of its world sales from purely electric vehicles. Electrifying the XC40 is therefore a logical step. Like Polestar 2, the XC40 is based on the CMA platform Volvo jointly developed with Geely. Also using this platform are vehicles 01, 02 and 03 of the Lynk & Co brand, in which both Geely and Volvo Cars are involved. Last year CEO Håkan Samuelsson also spoke of a possible base price of around 50,000 USD (43,000 euros) for the all-electric compact SUV but did not reveal further details. Volvo already made it clear they were making at least one XC40 version with a PHEV drive just recently in February. Apparently, the newly developed plug-in hybrid drives will be used across the entire model range – the Swedes announced that in future, every model will be offered with at least one PHEV variant. This was precipitated by Volvo’s plug-in hybrids being more popular than initially expected. By the end of the year, Volvo expects an enormous increase in sales of its PHEV vehicles. According to company boss Hakan Samuelsson, the fact that Volvo initially underestimated demand for PHEVs means that they are now having problems keeping up the pace with production. Such a great step was taken by Volvo against pollution with no more generation of diesel engines and launching the second version of the electric model in the year 2020.